Provide comfort for the family of Robert G. Waggoner with a meaningful gesture of sympathy. 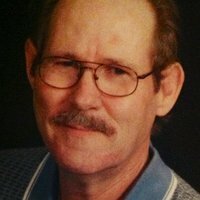 Robert G Waggoner, age 72 of Springfield, MO passed away April 12, 2019. He was born December 23, 1946 in Poplar Bluff, MO. He had been an over the road truck driver for 30 years. He proudly served his country in the U.S. Army, serving in Vietnam. He was a member of the American Legion and Disabled American Veterans Organizations. He loved spending time with his family and going to auctions, and woodworking. He was preceded in death by his parents R.L. Waggoner and Wilma (Alexander) Waggoner. He is survived by his wife of 52 years Helen (Resnik) Waggoner, his son Robert Jr and Kim Waggoner, daughter April and Bill Smith, 2 grandchildren Preston and Taylor Waggoner, and 2 great grandchildren Lakeynn age 2 and Brynlee age 1. Also survived by 3 sisters, Shirley Tipton and Sandy Dodson of Illinois, Pat Beasley of Tennessee, several nieces, nephews, cousins, many friends, and his auction family that will miss him greatly. Visitation will be Tuesday, April 16th 6-8pm at Greenlawn South Funeral Home, 441 W Battlefield, Springfield, MO. Funeral will be April 17th at Greenlawn South at 12:30 pm. Committal with full military honors at Missouri Veterans Cemetery at 2:00pm located at 5201 S Southwood, Springfield, MO. To plant a memorial tree in honor of Robert G. Waggoner, please visit our Heartfelt Sympathies Store. We encourage you to share your most beloved memories of Robert G. here, so that the family and other loved ones can always see it. You can upload cherished photographs, or share your favorite stories, and can even comment on those shared by others. Plant a Tree in Memory of Robert G.